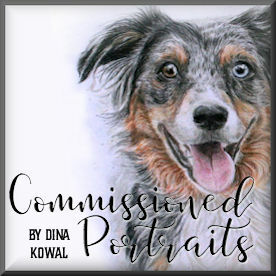 Dina Kowal Creative: dkdesigns at Impression Obsession! 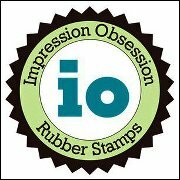 I'm excited to finally share with you that dkdesigns is expanding... this week will be my first rubber stamp release with Impression Obsession! Through conversations over the last 8 months about licensing and designing, Mitra and I began discussing how my designs might fit into the existing stamp line at Impression Obsession. This had been the prayer of my heart for several months, but until that point I hadn't felt that the timing was right. Working together at CHA in January gave us the opportunity to really put our heads together, and also gave confirmation that dkdesigns stamps would be a good fit for I.O. The vintage-collage style and inspirational nature of my stamps add something unique to the mix, and I hope you will enjoy using them as much as I have enjoyed creating them! We were able to visit Williamsburg in our travels across the country, and it was exciting to see my stamps designs 'hot off the press' - above is one of the plates used to press the rubber stamps, and below are some of the rubber sheets, ready to be trimmed. This release is full of nautical and travel themed stamps... I have some more exciting things coming that will be released at CHA next month. My stamps will be available in red rubber: unmounted, cling mounted, or wood mounted. Here's a peek at the new stamps that will be officially released June 6th... I'm honored to be sharing this release with Gary Robertson, who has also done some nautical designs this month. Here are a few close-ups of stamped projects. I'll share more on Wednesday! Please be sure to visit the I.O. Blog on Wednesday for links to all the other designers' projects - if you like the new release and want to know when more designs are coming, click here to 'like' dkdesigns on Facebook! Congrats my talented friends! WOW! Congratulations - that must be so thrilling!! Congratulations. How exciting for you. The Lord has blessed you for your sacrifice and service. Dina, mf, I am so, so excited for you, and just can't wait to see your stuff...it is ALWAYS amazing. I am so excited for you, Dina. 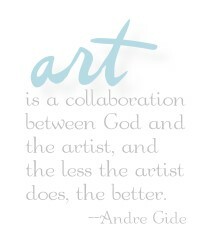 I love this post and linked it in tomorrow's post too. It really says who you are and how you create! Beautiful images!!! I am so excited to see your designs! You are so talented! That's so cool! I look forward to seeing more tomorrow! Congrats!! Congrats! You have a sale sight unseen here in Canada already!! I know they will be fabulous! Congrats Dina...beautiful stamps! Can't wait to see more!